The importance of natural products in the pharmaceutical industry cannot be abated because it plays a vital role in the prevention and treatments of diseases such as cancer, malaria, pile etc. These natural products e.g. alkaloid, flavonoid, phenol, saponin, and tannin are bioactive compounds in a plant which are essential in plant metabolic activities. All of these including alkaloids has been tested for their huge medicinal properties hence, serves as an alternative medicine. Although, through the modern-day technologies, these bioactive compounds are separated from the plants and synthesized into capsules and tablets for easy administration, usage, and storage. The manner of poisoning with plants can be due to unintentional ingestion, affordability, and availability, excess ingestion, improper methods of extraction and purification of plant materials. In some cases, the resultant effect(s) of these poisoning may cause serious illness, injury or even death. Thus, this review gives an overview of the pharmacological importance of named alkaloids, toxicology and methods of extraction and purification of alkaloids in the plant. Furthermore, this review will provide information to researchers to further investigate the medicinal potentials of these alkaloids, help in the development of new drugs for the treatment of various diseases, creates awareness on the side-effects of excess or abuse of medicinal plants and finally encourages rational use of natural resources for sustainability. 1. A. G. Atanasov, B. Waltenberger, E. M. Pferschy-Wenzig, T. Linder, C. Wawrosch, P. Uhrin, V. Temml, L. Wang, S. Schwaiger, E. H. Heiss, J. M. Rollinger, D. Schuster, J. M. Breuss, V. Bochkov, M. D. Mihovilovic, B. Kopp, R. Bauer, V. M. Dirsch, H. Stuppner. Biotechnol. Adv. 2015, 33, 1582-614. 2. A. Geoffrey, M. Q. Cordell, R. Norman. Farnsworth. Res. 2001, 15, 183–205. 3. A. Staniek, A. Bouwmeester, H. Fraser, P. D. Kayser. Biotechnol Journal. 2013, 8, 1159–1171. 4. T. P. Cushnie, B. Q. Cushnie, A. J. Lamb. Int. J. Antimicrobial Agents . 2014, 44, 377–386. 5. R. Gupta, V. Sharma. Toxicology Int. 2011, 18, 94–98. 6. D. Li, J. Guo, W. Bin. Arch. Pharm. Res. 2016, 39, 871–877. 7. G. A. Czapski, W. Szypuła, M. Kudlik. Folia Neuropath. 2014, 52, 394–406. 8. N. Bouayad, K. Rharrabe, M. Lamhamdi, N. G. Nourouti, F. Sayah. Saudi. J. Biol. Sci. 2011, 19, 73-80. 9. G. B Stefano, R. Ptáček, H. Kuželová, R. M. Kream. Folia Biol. 2012, 58, 49–56. 11. D. Schrijvers, F. Van Fraeyenhove. Cancer J. 16 , 514–20. Doi:10.1097/PPO.0b013e3181f28a8d. PMID 20890149. 12. F. Naqvi, F. Cervo, Fields S Geriatrics. 64, 8–10, 12–4. PMID 20722311. 13. M. B. Parshall, R. M. Schwartzstein, L. Adams, R.B. Banzett, H. L. Manning, J. Bourbeau, P. M. Calverley, A. G. Gift, A. Harver, S. C. Lareau, D. A Mahler, P. M. Meek, D. E. O'Donnell. Am. J. Respir. Crit. Care Med. 2012, 185, 435–52. 14. S. Colameco, J. S. Coren. J Am Osteopath Assoc. 2009, 109, 20–5. 15. J. Friswell, C. Phillips, J. Holding, C. J. Morgan, B. Brandner, H. V. Curran. Psychopharm. 2008. 198, 243–50. 16. M. D. Rockwood, A. Charles A. Rockwood and Wilkins' fractures in children. Philadelphia, Pa.: Lippincott Williams & Wilkins. 2009 , ISBN 978-1-58255-784-7. 17. M. J. Brennan Am. J. Med. 2013, 3,126. 18. S. M. Dobson. New Jersey: Humana Press. 2001, 15-25. 19. R. McGready, T. Cho, L. Samuel Villega, A. Brockman , S. Looareesuwan , N. J. White, F. Nosten. Trans R Soc Trop Med Hyg. 2001, 95, 651-656. 20. A. E. Greenberg, W. Nsa , R.W. Ryder, M. Medi, M. Nzeza, N. Kitadi, M. Baangi, N. Malanda, F. Davachi, S. E. Hassig, A. Zaire. Engl. J. Med. 1991, 325, 105-109. 21. H. Tinto, C. Rwagacondo, C. Karema, D. Mupfasoni, W. Vandoren, E. Rusanganwa, A. Erhart, C. Van Overmeir, E. Van Marck, U. D’Alessandro. Trans. R. Soc. Trop. Med. Hyg. 2006, 100 , 509-514. 22. A. O. Toure, L. P. Kone, R. Jambou, T. D. Konan, S. Demba, G. E. Beugre, M. Kone. Sante. 2008, 18, 43-47. 23. B. Pradines, M. M. Mamfoumbi, D. Parzy, M. O. Medang, C. Lebeau, J. R. M. Mbina , J. C. Doury, M. Kombila. J. Parasitol. 1998, 117, 541-545. 24. H. Y. Myint, P. Tipmanee, F. Nosten, N. P. Day, S. Pukrittayakamee, S. Looareesuwan, N. J. White. Trans. R. Soc. Trop. Med. Hyg. 2004, 98, 73-81. 25. WHO: Severe and complicated malaria. Trans. R. Soc. Trop. Med. Hyg. 2000, 94,1-90. 26. K. K. Karlsson, U. Hellgren, G. Alvan, L. Rombo . Trans. R. Soc. Trop. Med. Hyg. 1990, 84, 765-767. 27. N. J. White. Br. J. Clin. Pharmacol. 1992, 34, 1-10. 28. W. Okitolonda, C. Delacollette, M. Malengreau, J. C. Henquin. H. Br. Med. J. (Clin Res Ed). 1987, 295, 716-718. 29. S. Looareesuwan, R. E. Phillips. N. J. White, S. Kietinun, J. Karbwang. C. Rackow, R.C.Turner, D. A. Warrell, Lancet 1985, 2,4-8. 30. A. Dondorp, F. Nosten, K. Stepniewska, N. Day, N. White. A randomised trial and Lancet. 2005, 366, 717-725. 31. T. S. Kaufman, E. A. Rúveda. (2005). "Die Jagd auf Chinin: Angewandte Chemie Int Edition. 2005, 117, 876- 907. 32. A. Valenzuela, S. Nieto, B. K. Cassels, H. J. Speisky. Am. Oil. Chem. Soc. 1991, 68, 935–937. 33. H. R. Griffiths, R. Mistry, K. E. Herbert, J. Lunec . Crit. Rev. Clin. Lab. Sci. 1998, 35, 189–237. 34. M. E. Hidalgo, I. Gonzalez, F. Toro, E. Fern , H. Andez, I. Speisky. Jimenez, Cosmet. Toiletries. 1998, 113, 59–66. 35. F. Rancan, S. Rosan, K. Boehm, E. Fernandez, M. E. Hidalgo, W. Quihot, C. Rubio, F. Boehm H. Piazena, U. J. Oltmanns. Photochem. Photobiol. 2002, 68 , 133–139. 36. D. C. Tavares, C. S. Takahashi, Mutat. Res. 1994, 321, 139–145. 37. E. R. Almeida, A. M. Melo, H. Xavier. Phytother. Res. 2000, 14 , 99–102. 38. I. N. De Abreu, A. C. Sawaya, H. F. Eberlin, N. Marcos, P. Mazzafera. (2005). Plant. Soc. for In Vitro Biology. 2005, 41, 806–811. 39. A. Rosin, Romania.1991, 35 ,53–55. 40. L. Zhang, J.S. Weizer, D.C. Musch. Cochrane Database Syst Rev. 2017, 2 (2): CD010746. 41. R.K. Prasad. Chem. and Synth. Med. Agents. 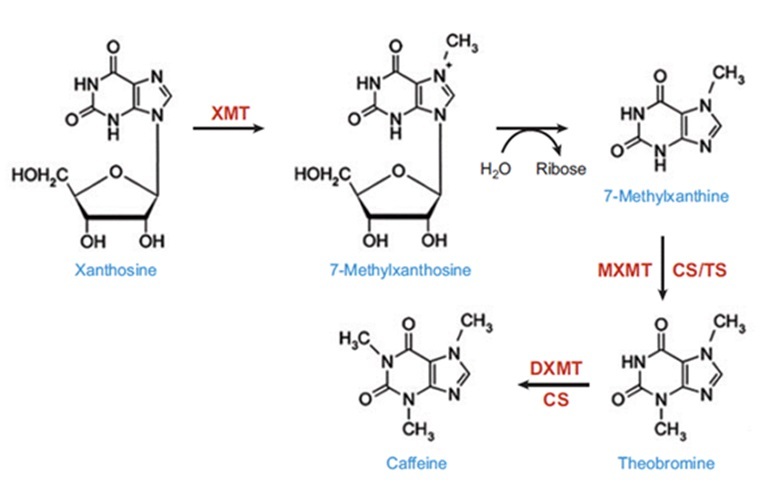 (Expanding Knowledge of Drug Chemistry). Book Rix. 2017. 42. W. Sneader. Drug Discovery: A History. John Wiley & Sons. 2005, 98. 43. World Health Organization. Model List of Essen. Med. (PDF). 2015. Retrieved 8 December 2016. 44. MOl Pharma. Salagen (pilocarpine hydrochloride): USA. 2018. 45.Oral pilocarpine for xerostomia. Med. Lett. Drugs Ther. 1994, 36, 76. 46. J. T. Johnson , G. A. Ferretti, W. J Nethery. N Engl. J Med. 1993, 329, 390-395. 47. P. C. Fox, J. C. Atkinson, A. A. Macynski. Arch. Intern. Med. 1991, 151, 1149-1152. 48. A. Nehlig. Neurosci. Biobehav. Rev. 1999, 23, 563–576. 49. M. Friedman. Mol Nutr. Food Res. 2007, 51, 116–134. 50. J. R. Migliardi, J. J. Armellino, M. Friedman, D. B. Gillings, W. T Beaver. Clin. Pharmacol. Ther. 1994, 56, 179. 51. R. B. Lipton, W. F. Stewart, R. E. Ryan, J. Jr, Saper, S. Silberstein, F. Sheftell. Arch. Neurol. 1998, 55, 210–217. 52. A.V. Krymchantowski. profile of drug consumption. Arq. Neuropsiquiatr. 2003, 61,43–47. 53. H. C. Diener, V. Pfaffenrath, L. Pageler, H. Peil, B. Aicher. Cephalalgia. 2005, 25, 776–787. 54. B. Renner, G. Clarke, T. Grattan, A. Beisel, C. Mueller, U. Werner, J. Clin. Pharmacol. 2007, 47, 715–726. 55. R. Gerull, H. Manser, H. Kuster, T. Arenz, M. Nelle, S. Arenz. Acta. Paediatr. 2013, 102,1154–1159. 56. A. C. Ong, P.K. Myint, J. F. Potter. J. Am. Geriatr. Soc. 2014, 62, 649–661. 57. T. Ohara, K. Muroyama, Y. Yamamoto, S. Murosaki .J. Nutr. 2016, 15, 7. 58. A. Pinkhasov, M. Biglow, S. Chandra, T. Pica. J. Pharm. Pract. 2016, 29, 177–180. 59. P. E. Stephenson. Ann. Intern. Med. 1983, 98,641–653. 60. S. H. Snyder, P. Sklar. J. Psychiatr. Res. 1984, 18, 91–106. 61. G. Misciagna, C. Leoci, V. Guerra, M. Chiloiro, S. Elba, J. Petruzzi.Eur. J Gastroenterol. Hepatol. 1996, 8, 585–593. 62. M. F. Leitzmann, W. C. Willett, E. B. Rimm, M. J. Stampfer, D. Spiegelman, G. A. Colditz, JAMA. 1999, 281, 2106–2112. 64. A. J. Budney, J. A. Emond. "Caffeine addiction. 2004, 109, 1771–1772. 65. S. E. Meredith, L. M. Juliano, J. R. Hughes, R. R. Griffiths. J of Caffeine Res. 2013, 3 , 114–130. 66. A. Riba , J. Tasman, J. A. Kay, M. B. Lieberman, M. B. First. Psychiatry (Fourth ed.). 2014, 1446. 67. J. L. Temple. Neurosci. and Biobehavioral Rev. 2009, 33 , 793–806. 68. R. C. Malenka, E. J Nestler, S. E. Hyman. Reinforcement and Addictive Disorders. 2009, 15, 375. 69. L. M. Juliano, R. R. Griffiths. Psychopharmacology. 2004, 176, 1–29. 70. S. Y. Wang, G. K. Wang. Voltage-gated sodium channels as primary targets of diverse lipid-soluble neurotoxins. Cell Signal. 2003, 15, 151–159. 71. T. Sawanobori, Y. Hirano, M. Hiraoka. Jpn. J. Physiol. 1987, 37, 59–79. 72. L. Bertilsson, Y. Q. Lou, Y. L. Du, Y. Liu, T. Y. Kuang, X. M. Liao, K. Y. Wang, J. Reviriego, L. Iselius, F. Sjöqvist. Clin. Pharmaco. and Therap. 1992, 51, 388–397. 73. T.Y. Chan. Clin. Toxicol. 2009, 47, 279–285. 74. J. Berlin, C. Rugenhagen, N. Greidziak, I. Kuzovkina, L. Witte, V. Wray, Phytochem. 1993, 33, 593–97. 75. E. Yarnell, K. Abascal. Alternat. & Complemen. Therap. 2001, 7, 138–143. 76. S. Nafasi, M. Bonsaii, P. Maali, M. A. Khalizadeh, F. Manouchehri. J. Phytochem Photobiol B. 2010,100, 84–91. 77. M. Hesse. Alkaloids: Nature's Curse or Blessing. J. Med. Chem. 2003, 46, 88. 78. N. I. Grinkevich, L. N. Safronich. 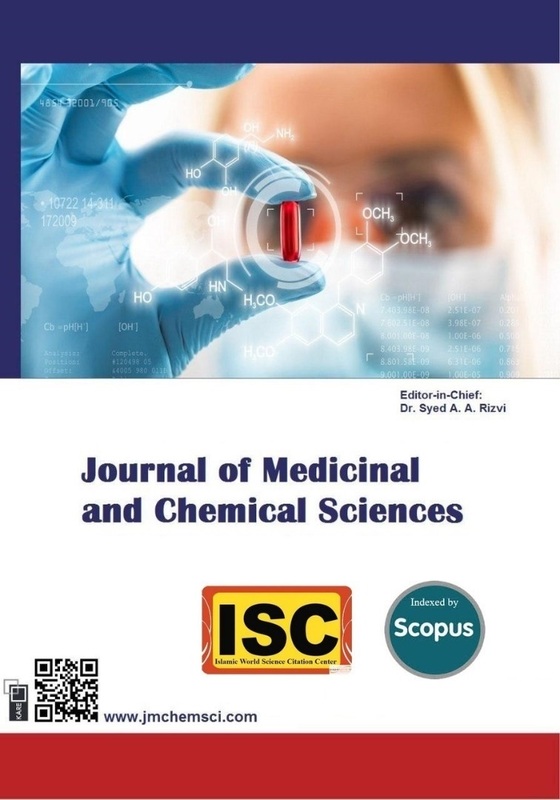 The chemical analysis of medicinal plants: Springer Inter. pub. DOI: 10.1007/978-3-319-51620-2. 79. C. Zhang. Herbal. med. 1997, 28, 17. 80. E. Fattorusso, O. Taglialatela-Scafati. Modern Alkaloids: Structure, Isolation, Synthesis and Biol. 2008. Wiley-VCH. ISBN 978-3-527-31521-5. 81. H. Yanli, G. Li, J. Xiaohong. Food Sci. 2007, 28, 12-14. 82. (a) S. Sajjadifar, Chem. Methodol. 2019, 1, 1-11; (b) H. Veisi, A. Sedrpoushan, P. Mohammadi, A.R. Faraji, S. Sajjadifar, RSC Advances 2014, 4, 25898; (c) S. Sajjadifar, M.A. Zolfigol, G. Chehardoli, S. Miri, International Journal of ChemTech Research 2013, 5, 422; (d) E.R. Nezhad, S. Sajjadifar, Z. Abbasi, S. Rezayati, Journal of Sciences, Islamic Republic of Iran, 2013, 25, 127; (e) H. Louis; G.K. Fidelis, T.T. Fidelis, S. Onoshe, J. Med. Chem. Sci. 2019, 2, 41-75.